Speaking at a government summit in Dubai, the economist and highly read New York Times columnist said the likelihood of an economic slowdown hitting the U.S. was high due to sluggish growth already buffeting China and Europe. According to CNBC, Krugman said that “there was a good chance that the U.S. will have a recession late this year” or by 2020. “There seems to be an accumulation of smaller problems and the underlying backdrop is that we have no good policy response. [The] Fed can’t cut rates very much. Fiscal policy...there is in fact fiscal space, if we were prepared to use it, but it’s hard to see that this current leadership is going to respond in any nimble way. 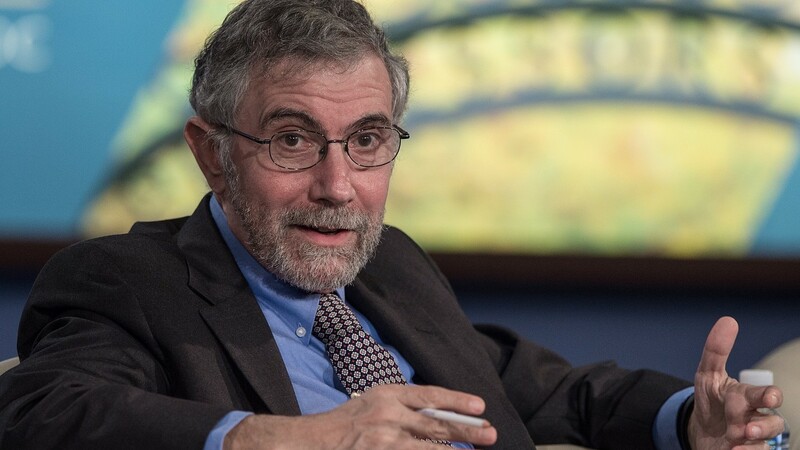 So, yeah, I’d say there’s better than even odds that we will have a recession,” Krugman told Bloomberg on Sunday. “The euro area is clearly experiencing a slowdown pretty close to recessionary levels already and has no recourse. Draghi can’t cut rates because they’re negative already ...so I think Europe is a danger spot that is potentially as big as China,” said the economist, referring to the ECB’s President Mario Draghi and that central bank’s stimulus measures rolled out to address the 2007-’09 financial crisis. A looming recession was chief among fears that took hold of U.S. markets late last year, culminating in Christmas Eve losses for the Dow Jones Industrial Average DJIA, -0.29% the S&P 500 index SPX, -0.03% and the Nasdaq Composite Index COMP, +0.03% that were the worst such declines on the trading session prior to Christmas on record.